Hotel Viceroy Mysore, Viceroy Hotel Mysore, Reservation for Hotel Viceroy, Mysore, India. Address: Rajendra Enterprise, Sri Harsha Road, Mysore, Karnataka 570 001, India. Accessability: 150 kms. from Airport, 2 kms. from Railway Station, 1 kms. from Bus Stand. Hotel Viceroy is ideally located in the heart of Mysore, viewing the chamundi hillsand world famous Mysore palace. It is a luxury hotel for Business executives & tourists, closed to various places of interests, shopping centres and conveyance. 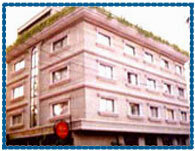 Hotel offers a total of 30 rooms comprising 23 double, 6 deluxe and 1 suit. 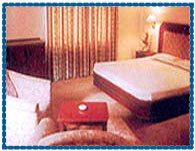 All the rooms are well equipped with all the modern facilities for comfort. Partially Air-conditioned, Room Service, H/C running water, Fax, Safe Deposit, Doctor on Call, Laundry, Banking, Travel Desk Services, Roof Top Open Air Garden Restaurant, All Major Credit Cards Accepted and Debir Cards Services, Money Changer, Baby Sitting.